The Powerhouse Travel Set is the perfect way to give all of our natural healing balms a try! 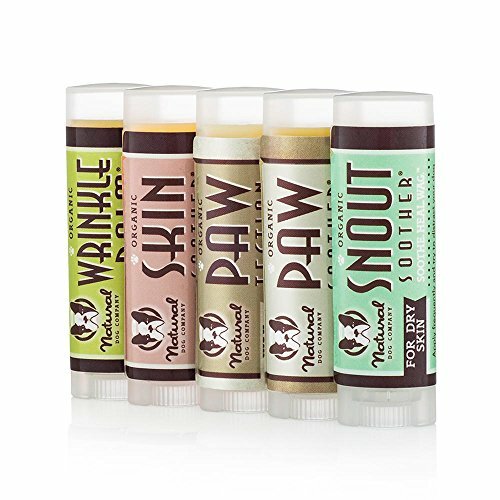 The kit includes .15 oz travel sticks of Snout Soother, Paw Soother, PawTection, Skin Soother and Wrinkle Balm. Snout Soother is recommended by vets all over the world for treating and preventing painful, dry, chapped and cracked dog noses. Our award-winning balm for dry dog noses is a synergistic blend of organic, vegan, nourishing, healing and moisturizing ingredients - carefully selected for optimal nose healing benefits. 100% SATISFACTION GUARANTEE: Join our thousands of happy customers and try this Wrinkle balm risk free. Guarantee to work fast with our generous 90-day return policy.